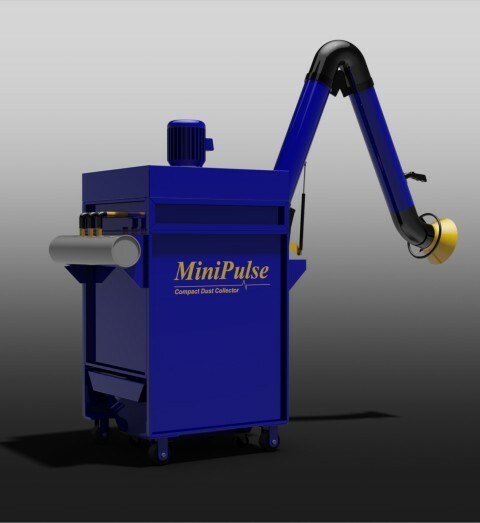 The Mini Pulse is a powerful, compact, self-contained reverse pulse cartridge dust collector. Filtration is done by a 100% washable, polyester star pleated cartridge. Australian designed and manufactured to comply to O.C.H.S. standards. 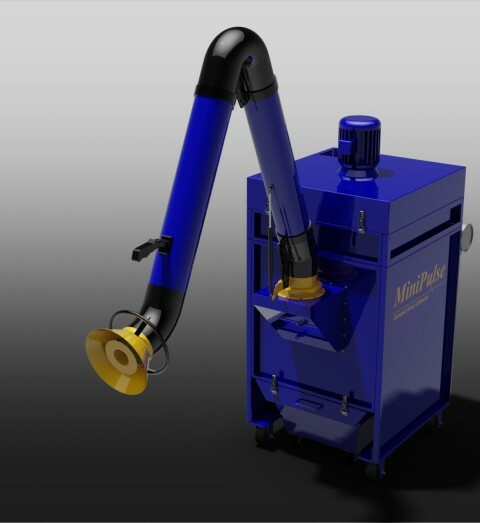 Ideal for every workshop, as a source capture, mobile air cleaner and dust collector. 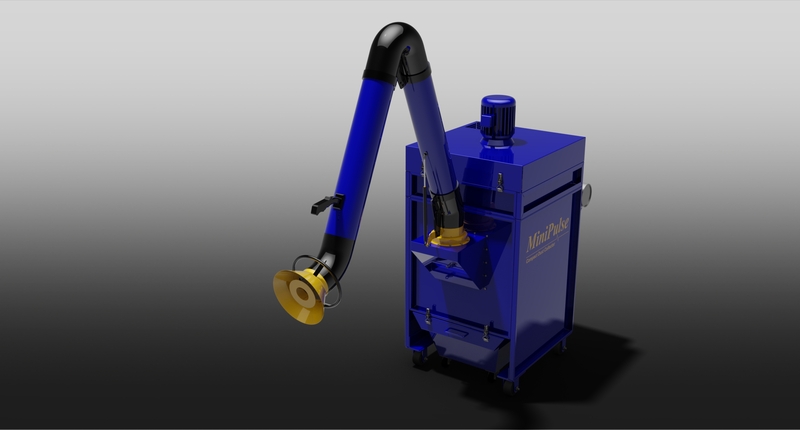 The unit combines the exhaust fan, dust separator and dust storage in one assembly. The fan and motor are positioned at the top of the unit, at the clean air side of the collector. 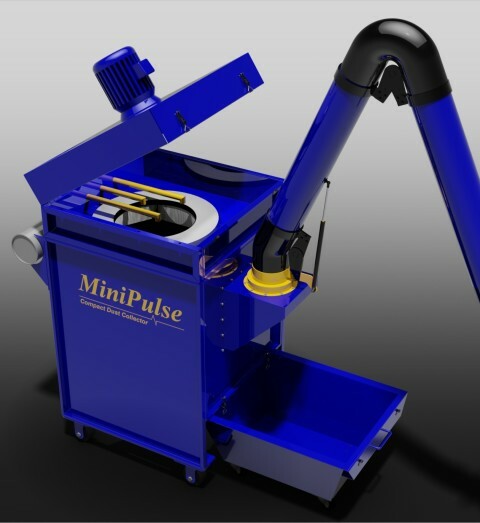 The Mini Pulse comes in two sizes: the Mini Pulse 500 with 10m² filter area and the Mini Pulse 350 with 7m² filter area. The filters are easily reached through an access door. The fan and motor section lifts upward while a gas strut counters the weight of the fan. The body is fabricated from 2mm thick mild steel panels, powder coated for durability and appearance. The fan wheel used has backwardly inclined blades and is of sturdy construction. 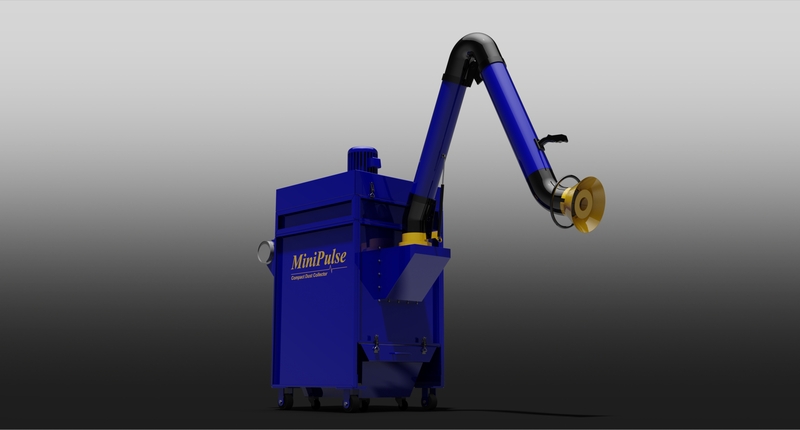 The large capacity dust bin rolls on its own castors. The single star pleated filter has a large effective filtration area. The filter is segmented to allow for continuous operation. 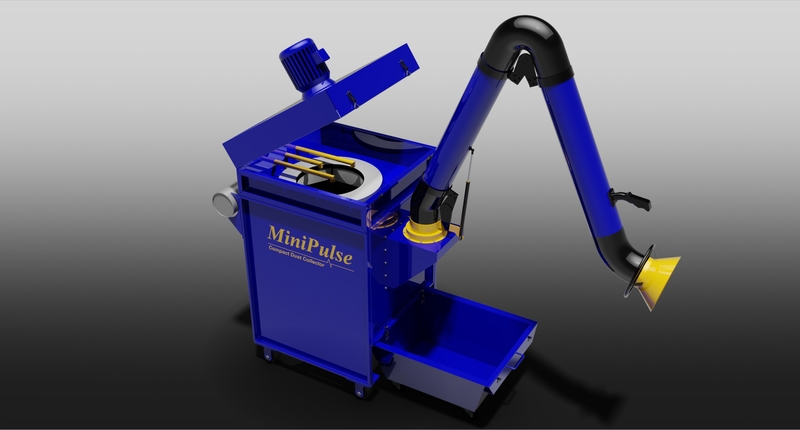 A special version of the Mini Pulse, the 500s, uses a single cartridge of 20m². 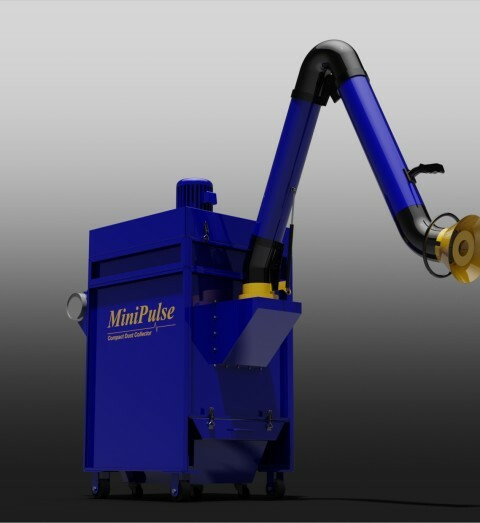 This larger unit can handle 1700m³/hr of dust laden air. 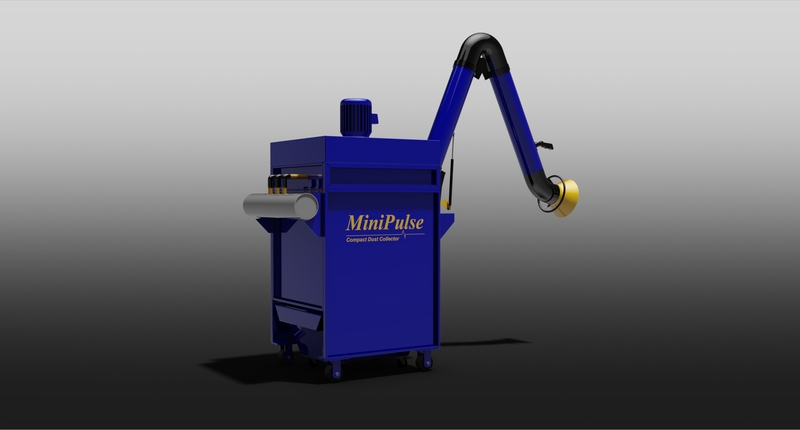 Pharmaceutical Industry Metal working (grinding, buffing etc) Woodworking Welding fume extraction and filtration Foundries.